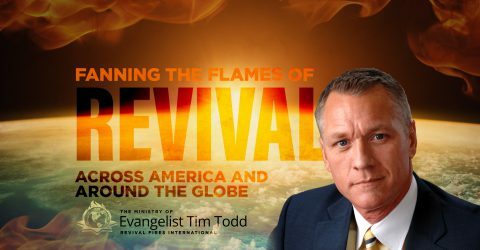 Pulsating nauseation hits me like an oncoming freight train, reminding me, the South Georgia revival services are over. Preaching revival services absolutely wipes me out. Physically. Emotionally. Spiritually. The pilot is rushing off of the runway as we are the very last flight allowed to leave the airport due to a hurricane style storm that has moved in quickly. The rough flight, sheer exhaustion, along with drinking 3 bottles of apple juice, led to me throwing up in a bag. I dozed off into a deep sleep all the way to Atlanta. When we landed my FULL throw up bag had slipped down between the seats and the jolt of the landing caused it to spill all over the person in the seat directly behind me. Without giving it a thought I began to rush toward the front of the plane to retrieve napkins for this poor person behind me. The flight attendant forcefully commanded me to be seated immediately until the seatbelt sign was turned off. Needless to say, I was glad for that day of nauseation to be over. Would you believe the church can make our Lord nauseated as well? Do you know that it often leaves Him sick? Church can make Christ ill to His stomach. It can make him want to throw up. What about church would make Jesus sick to His stomach? What about His people could possibly cause Him such a violent reaction? Lukewarmness. Spiritual indifference in the church makes Christ want to throw up. Apathy makes our Lord ill. Lukewarm preaching. Indifferent worship. Bland prayer. Stale fellowship. Insipid evangelism. It all makes Christ sick! Not just on Sunday, but on Monday through Saturday, as well. Whenever our hearts, once fervent for Him, cool off into a state of lukewarmness, it makes Jesus Christ nauseated and sick to His stomach, making Him want to throw up. It’s all provoked by our sin of lukewarmness. The sin of being spiritually half in, and half out. The sin of yawning in Christ’s face. The sin of indifference toward His grace. The sin of being bored with the Christian life. It makes God sick! He can’t stomach it! Half-hearted devotion is absolutely revolting to Him! In Revelation 3:14-17 Christ addresses the sin of lukewarmness. In scathing terms, Jesus warns that He will spew any lukewarm church from His mouth. This is a serious call to spiritual fervency, heart devotion, and holy zeal. Here is a solemn command to be on fire for God, not lukewarm. Christ is speaking to each and every one of us. We must listen and obey! The message is clear. Lukewarmness toward Christ is a gross sin against our Lord! Our spiritual apathy toward Jesus causes Him the greatest grief and heartbreak. We must constantly read the thermostat of our heart. When we cool off and become lukewarm, decisive steps must be taken immediately to raise the temperature of our spiritual passion. Perhaps this is our greatest need. Could it be that the greatest need of the church is to get fired up for Christ? That’s what Jesus says. We must rekindle the spiritual passion within our hearts for Him. That’s the very core of what the church is supposed to be. We are called to be a body of believers deeply in love with Christ. When the world sees the reality of our love for Christ, the Gospel message we share is made believable. One life on fire for Christ is worth more than a library full of arguments. The world is waiting to see the reality of our love for Him. That’s what the world needs to see. The church on fire. Not lukewarm and indifferent. But the people of God with a red-hot love for Jesus Christ. That’s what the world needs to see. A church on fire! Please pray for our troops defending America in the War on Terror. Revival Fires has been asked to provide a Bible for each one of the 11,000 soldiers that are in the process of being deployed to Afghanistan and Syria right now. These full Bibles cost our ministry only $4 each. You may help us provide these Bibles by clicking HERE. Our troops are willing to stand up and fight for our freedom on foreign soil the very least we can do is be sure they have Bibles! Thank you for your help with this vitally important mission. Please continue to lift us up in prayer as we provide Truth for Youth Bibles for young people across America that have committed to give the Bibles to their friends in school. We have already given away more than 2.5 million TFY and have received more than 25,000 decision coupons and emails from teenagers who have been saved for the very first time as a direct result of getting a copy of the Truth for Youth Bible. Thank God for young people, ON FIRE FOR GOD!, too that are willing to give the Truth for Youth Bibles away. To help us print and provide Truth for Youth Bibles for young people to give to their unsaved friends in school you may CLICK HERE or call 318-396-HOPE(4673). The Truth for Youth is also available in Spanish! If we want to bring America back to God we must reach a generation of young people with the Gospel of Jesus Christ. Please pray for our upcoming Cuba evangelistic crusade, Bible distribution and Hurricane relief that will take place October 29 through November 5. As a result of Hurricane Irma’s devastation, there are thousands of Cuban people who have lost their homes. They need shelter, food, water, electricity and many other things. As we give Bibles to Cuban people that have never had a Bible, they will be much more receptive as we provide for their physical needs too. To help us provide Bibles and Hurricane Relief for the Cuban people you may CLICK HERE!